Love is sweeter the second time around when it comes to up-cycling the past into heart-melting tokens of love for that special someone on Valentine's Day. These Etsy up-cycle artists have created perfect gifts using vintage jewelry, paper ephemera and even skateboards! 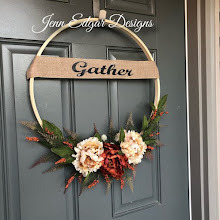 Shop early for the best selection and don't forget to favorite these shops to keep up with innovative ideas in up-cycling! 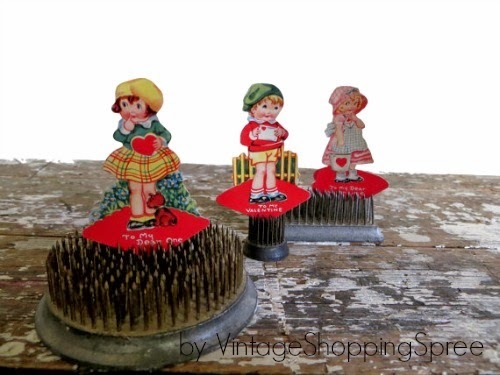 Top shelf vintage Valentines look oh-so-adorable propped up in old flower frogs! 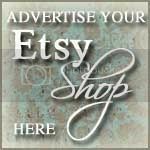 Find both at VintageShoppingSpree where holiday ephemera and true vintage craft supplies are offered at affordable prices! 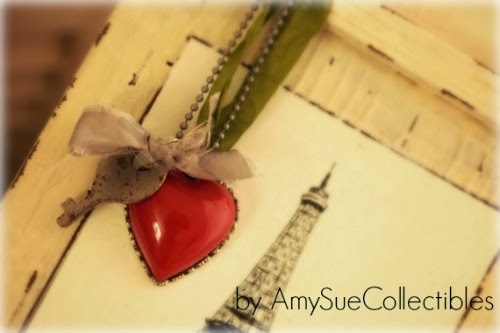 AmySueCollectibles creates romantic vignettes using old jewelry, found items, and dreamy fabrics. An up-cycler extraordinaire, this Etsy artist transforms today's cast-offs into heirloom treasures. 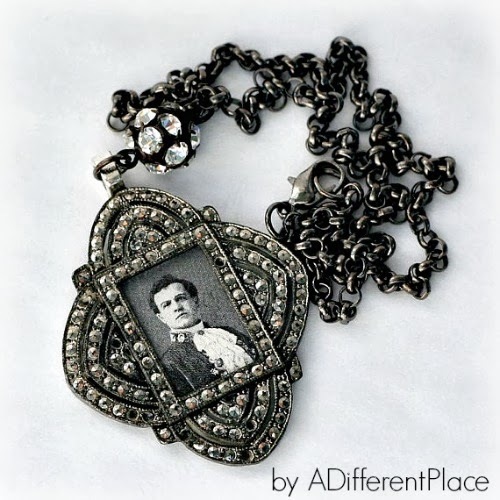 Take bits of old jewelry, add Victorian sensibility and top it off with unbelievable prices and ADifferentPlace is the exquisite result! Truly one-of-a-kind gifts dwell here! 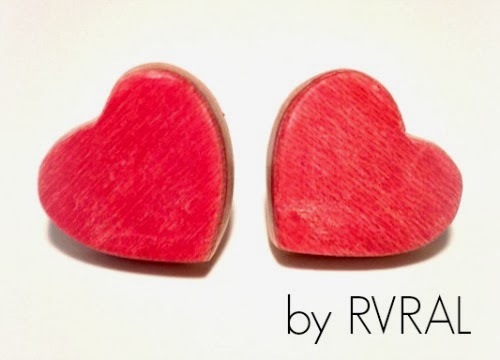 RVRAL revives old skateboards into hip wooden jewelry with appeal across the board! Rings, earrings, and pendants perfect for the eco-enthusiastic. 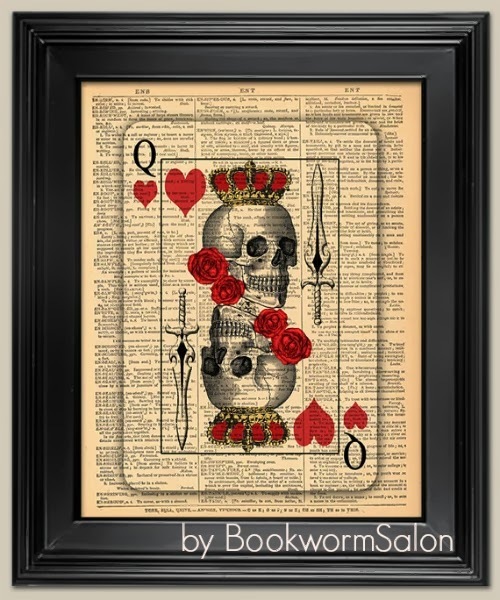 All bibliophiles will find love at BookwormSalon! Vintage dictionary pages host original printed artwork perfect for display throughout the year. 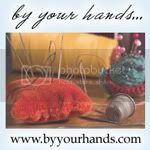 Request a custom order to have this artist make something extra special for the love of your life! To keep the love going, search up-cycled heart on Etsy!